Special features include a One Bedroom Apartment on the main level w/ separate entrance. 5 off street parking spots, Large inviting outdoor living space w/ patio, grill, garden, basketball court, large storage shed. Main level includes a large covered front porch, a grand entry, formal dining & living rooms, family room, play room, 2 guest bedrooms, 3/4 bath & 1/2 bath, office areas, large kitchen. The upper level includes 9 bedrooms, 3 full bathrooms, a full kitchen w/ sitting/dining area, a laundry closet and several other storage closets & a fire escape. The walk up basement is currently used as a laundry room w/ room for 3 washers & dryers, mechanical room & storage. 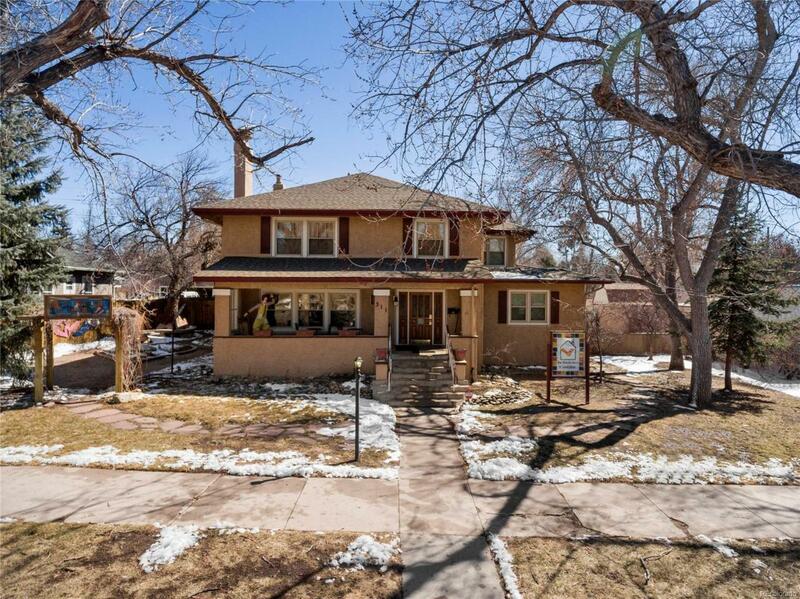 You will love the unique features including, original Craftsman style trim, beautiful leaded glass front door, etc. The side yard has a beautiful garden. This home is very close to a large park, next to Memorial Central, the USOTC, and just minutes to downtown. Room sizes approximate. Offered by Re/Max Advantage Realty Inc..